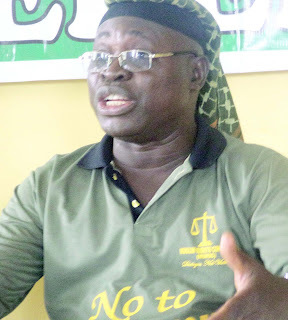 The Muslim Rights Concern, MURIC, on Tuesday berated the Christian Association of Nigeria, Canada, for demanding for the position of the Deputy Senate President in the 9th Senate. MURIC stated that CAN was “laying a bad precedent” by demanding for the position of the Deputy Senate President or Speaker of the House of Assembly in the next National Assembly. CAN’s National President, Rev (Dr.) Samson Ayokunle had written to the National Assembly demanding the position of Senate president or speaker of the House of Representatives. Ayokunle’s demand was contained in a letter signed by his Special Assistant, Pastor Adebayo Oladeji. However, MURIC, in a statement signed and availed DAILY POST by its Director, Professor Ishaq Akintola reads: “CAN is setting a very bad precedent. CAN is simply manifesting symptoms of acrobatic religiosity. Nigeria will not move forward until merit becomes the determining perimeter. Sensitive positions in the NASS should be given to those who deserve it based on experience, competence, antecedence and loyalty to the party. “These are not posts of commissioners or chairmen of government agencies. The posts of Senate president and speaker of the House are too important to be determined on the pulpit or mimbar. We should not be looking at religion here. Our focus and interest should be Nigeria. “Why is CAN agitating now? Where was CAN when Christians took all the principal offices in the NASS not too long ago? Where was CAN when David Mark was Senate president, Patricia Ette was speaker of the House and Aloysius Katsina Alu was the Chief Justice of Nigeria parri pasu? Was it so long ago such that we could become overwhelmed by collective amnesia? “No, sir. We have not forgotten even if CAN decides to twist the facts of history. Neither was it too long ago. It all happened during the tenure of ex-president Goodluck Ebele Jonathan. So what are we saying? That precedent alone is enough to debunk CAN’s latest demand. “If there was a time all those offices were occupied by Christians, then CAN has no moral basis to complain today if Muslims should emerge as the new occupants. The only ground on which CAN can complain now is if the Muslims complained at that time. So we should ask CAN to tell us and to provide evidence that the Muslims complained. “We call on the All Progressive Congress (APC) to ignore CAN’s latest demand. It is an unworthy distraction. It is unworthy because it was the same CAN that campaigned vigorously in the churches against the emergence of the APC as winner in the 2019 general elections. Therefore, CAN does not deserve APC’s attention. “This is the moment of truth and we must not shy away from the truth no matter how bitter. The Bible says, ‘You will know the truth and the truth will set you free’. Who told Nigerians not to vote for a Muslim as president? Who told us not to vote for a Fulani man? CAN should answer those questions. CAN drove itself into a political conundrum by starting an anti-Muslim and anti-Fulani campaign in the churches. It should have known that it shot itself in the foot when the leading opposition candidate turned out to be a Muslim and a Fulani as well. “We were told that Buhari had Islamised Nigeria. There is no need denying because there is no Nigerian using android phone who does not have the video clips where those vexatious hate speeches were spilled out right inside churches. So why is CAN now interested in having its members in high positions in an ‘Islamic government’ under a Fulani man if indeed APC government is an ‘Islamic government’? Many of the new governors-elect are Christians yet CAN calls APC an Islamic party. “The bulk of the votes that gave President Muhammadu Buhari his second tenure came from the North and Muslims. Figures do not lie. How can CAN start an agitation for parity so soon? Is it because nobody demanded an apology for the campaign of calumny and hate speeches? Is it fair to reap where you did not sow? “Or to put it more clearly, is it fair to demand equal share from the same APC whom you sought to destroy? What will be left for those who were loyal to them if you get what you want? Can CAN eat its cake and still have it? No, CAN cannot. CAN did not vote for APC. The North, majority of Nigerian Muslims and a few Christians who refused to listen to CAN did. These were the people who stood with integrity when the chips were down. These were the people who weathered the storm. “It was the deep-seated resentment which CAN leaders have for this government that led to the delay in congratulating Buhari after the latter won the 2019 presidential election clearly and convincingly. They later claimed that they were under pressure to congratulate him. Come to think of it! Can CAN tell Nigerians who put it under pressure to congratulate Mr. President? CAN hid behind the alibi that there is a case in court. Is that not ludicrous? CAN should reveal the names of those who pressurized it to congratulate Buhari. “The Nigerian Supreme Council for Islamic Affairs (NSCIA), several professional groups in the country, Nigerian traditional rulers, National Association of Nigerian Students, the United Kingdom, United States, European Union, African leaders, etc have all congratulated the winner. Is CAN telling us that all these groups are unaware that there is a court case? Has CAN been charged for contempt of court since its belated congratulatory visit to Aso Rock a few days ago? “Our consolation is that not all Christians share the same thinking with CAN leaders. There are many objective Christians who wish Nigeria well. We, therefore, appeal to CAN leaders to join hands with those objective Christians and Muslim leaders in the quest for peaceful coexistence and better living conditions for the Nigerian people. “Our strong suspicion is that attempts at installing Christians in political posts are more often than not driven by the hope of returns, particularly in form of fatter tithes. It is hardly ever driven by the quest for raising the standard of living of the ordinary Nigerian and good governance. “For the purpose of clarity, MURIC is not interested in whether a Muslim or a Christian is senate president or speaker of the House. What we care about is good governance. We came out openly to support President Muhammadu Buhari in the last election not because we care for his political party or because he is a Muslim, but because he is the personification of integrity, discipline and honesty. We have also seen good governance under him. Any candidate who is an embodiment of these qualities will be supported by us in future no matter his creed or ethnicity. All we care for is Nigeria. “To conclude this advocacy, we urge APC to ignore CAN’s demand for Christians as leaders of the NASS. We urge CAN leaders to think first of Nigeria, to eschew half-truth, hate speech, arm-twisting, blackmail, intrigue and subterfuge. We can all live in peace in this country. All we need is to be prepared to drop the desire to dominate and to take all. We must love and share. We must be prepared to give and take, to live and let live”.